Any combination of build mode items (not including doors & windows). Items made with Numenor's Wall/Window set. 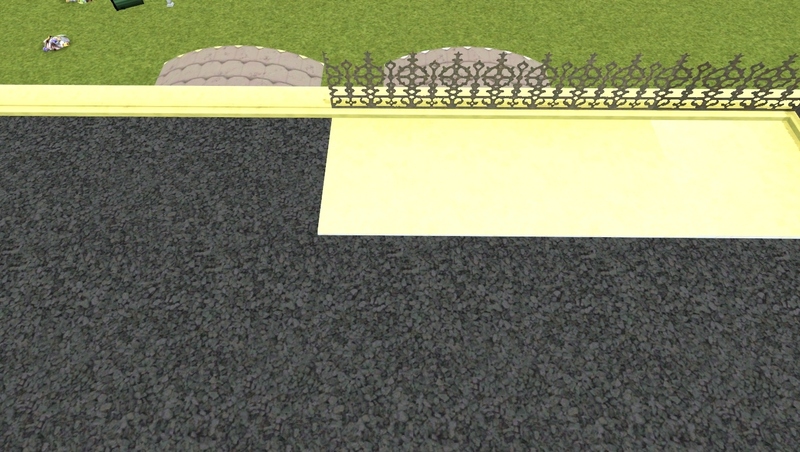 Update - made the cast iron cresting recolourable (one channel only), edited the corner roof piece so that the corbels line up in a way that matches the rest of the roof pieces, fixed issues with the footprint so you can now place all the pieces without having to use move_objects on, and uploaded a second version of the set that is not visible from map view, for those of you that are worried about performance or that don't want the roof to interfere with normal gameplay. Only download ONE version, they both share the same GUID so they will conflict if they are both in your game. Enjoy! 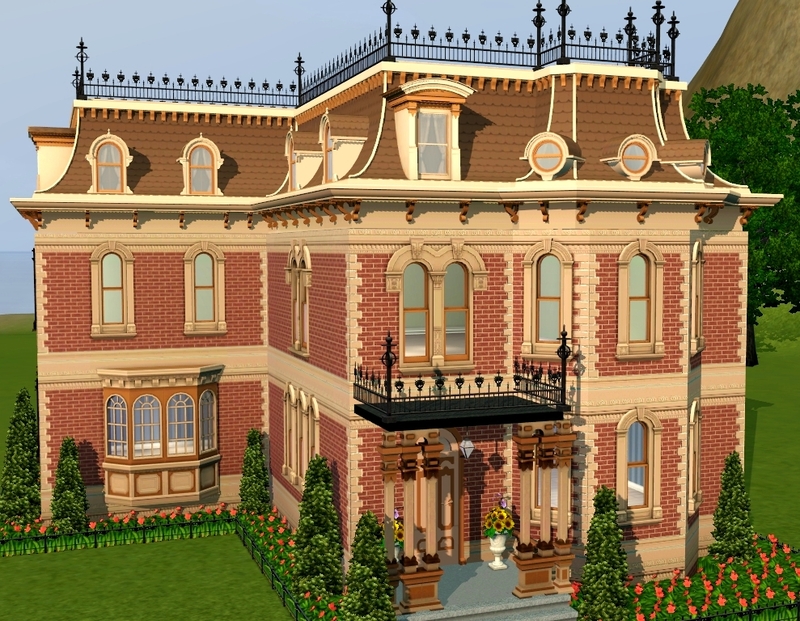 So, the latest Store release had me really hyped - Second Empire is one of my favourite architectural styles, and the Mansion & Garden Stuff roofing always seemed a little off to me - they're a bit too tall for most homes...and the Store roofs incorporated CORBELS! Yes, corbels! When I actually got my hands on the set, though...well, I almost wept. The roof pieces were all two tiles deep, had that ugly fence running along the edge, and were just generally unusable. Also, the dormer window is not only out of place (it looks more like European Second Empire, whereas the mansard roof is more American Second Empire), but also totally non functional, so your attics are completely dark and useless; or at least, they were...until now! So, what have I actually done? I've removed the useless block from all the pieces except the angled corner (because you can't draw a wall flush with the edge of the angled roof, so I just removed the cresting and lowered the top so it doesn't protrude through your roof) separated the default dormer so it can be placed on one or on two tiles, edited it so it looks more Italianate and matches the Victorian flair I'd expected, edited Goggalor's conversion of the two dormers from Mansion & Garden Stuff, separated them from their roofs and edited them to match, created two windows to match the larger M&G dormer so that it's semi-functional, and converted the iron cresting from Mansion & Garden Stuff so you can place it along your roofline if you wish - yay for choice in roof fencing! 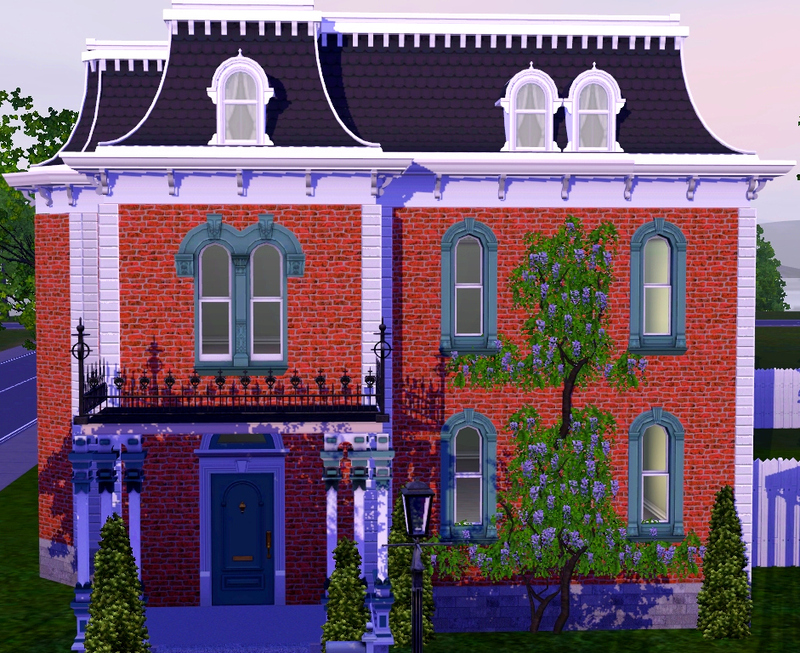 To summarize, you get five roof pieces, four dormers, two windows and a fence...and a nifty collection file, so you don't have to hunt around the catalogue to find these items! 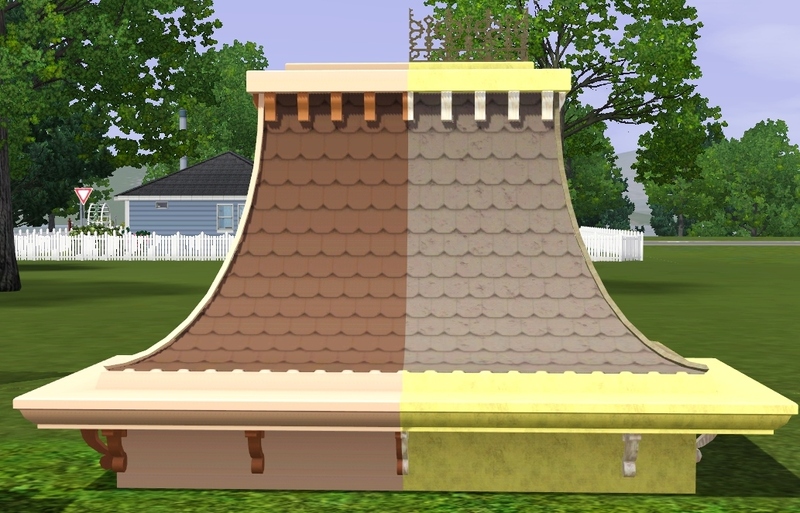 All parts are now fully recolourable, and the cast iron cresting's first preset has the default The Sims 2 texture as an overlay. ...what this actually means is MORE CUSTOMIZATION! 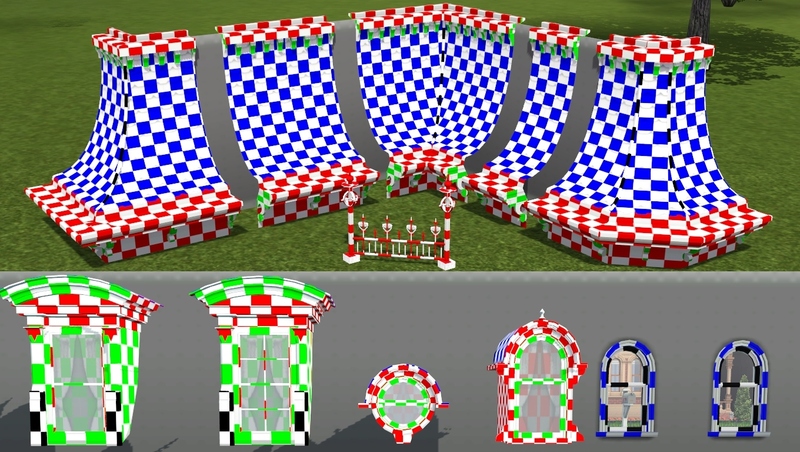 You can have bigger attics, you can construct your own belfries without having to rely on that ugly, useless object EA gave us, and, most importantly of all, you can recolour your dormers separately and have them actually light up your attic space! One gripe I have with my creation is that, with the walls down, you can see right through the mansard pieces from the inside - but it does come in handy, since it means my cheap-o solution to the dormers works from the inside - you can see out, but neighbours cannot see in. I'm hoping a more skilled creator will create a Might Mansard Redux Redux and do what I simply cannot - make fully functional dormers. For now, though, enjoy my very crude attempt at fixing these! The five mansard pieces are found in Decor/Roof Decor, and cost §215 each; the four dormers are in Decor/Roof Decor, and cost §150 each. The two windows are found in Build/Windows, and cost §150 each. The cast iron cresting is in Build/Fencing, and costs §15 per square. The original Store set is NOT needed for this to work; these are completely standalone items, and work in any game from patch 1.63 onwards. Happy building! 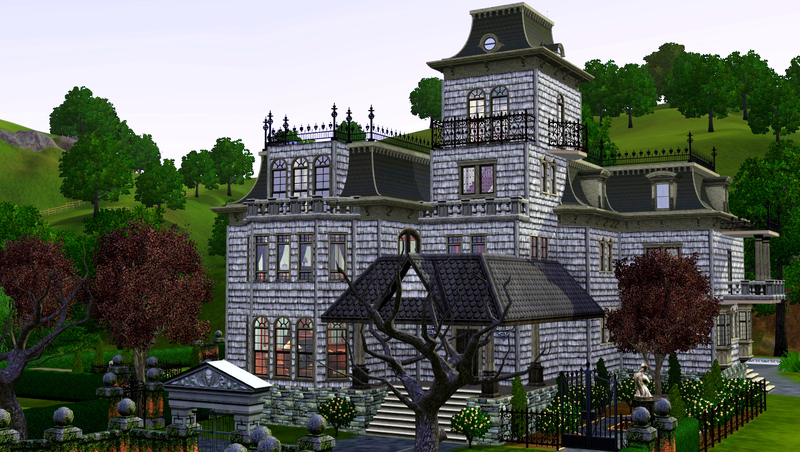 The Store team for putting out such detailed roofs, Goggalor for converting the Mansion & Garden Stuff mansard pieces, and the French for being such aesthetic gods. 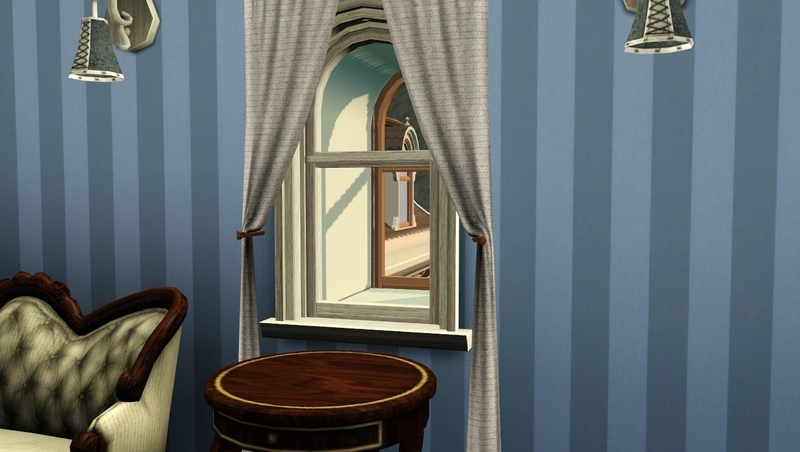 Mansard Kit as Large Object.7z | Description: These objects will always remain visible, including when the lot is in low detail mode. Choose this one OR the standard object version. Mansard Kit as Standard Object.7z | Description: These objects will disappear when the floor they&#039;re on isn&#039;t visible, but they will also disappear when in map view. Choose this one OR the large object version.